Should Breeders Join a Kennel Club? National kennel clubs are influential organizations in charge of registering and tracking purebred dog breeds. Additionally, they are overseeing the overall canine populati0n in the country and crunching lots of data to detect meaningful health trends. Kennel club certifications are often considered the bare minimum a breeder should offer as paperwork when selling dogs. Most prospects expect to see registrations papers yet, these are far from guaranteeing a good responsible breeder. The level of entry to join kennel clubs is way too low, causing irreversible breed-specific issues as we have seen with the English Bulldogs, for example. While kennel clubs are most definitely needed to educate dog owners, trainers and breeders alike, more emphasis should be put on certification. 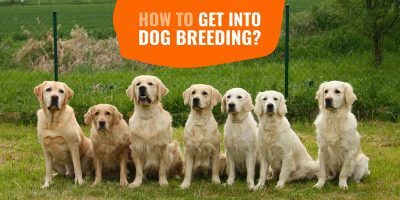 A breeder should not be allowed to register his or her dogs without passing a difficult canine genetic test. 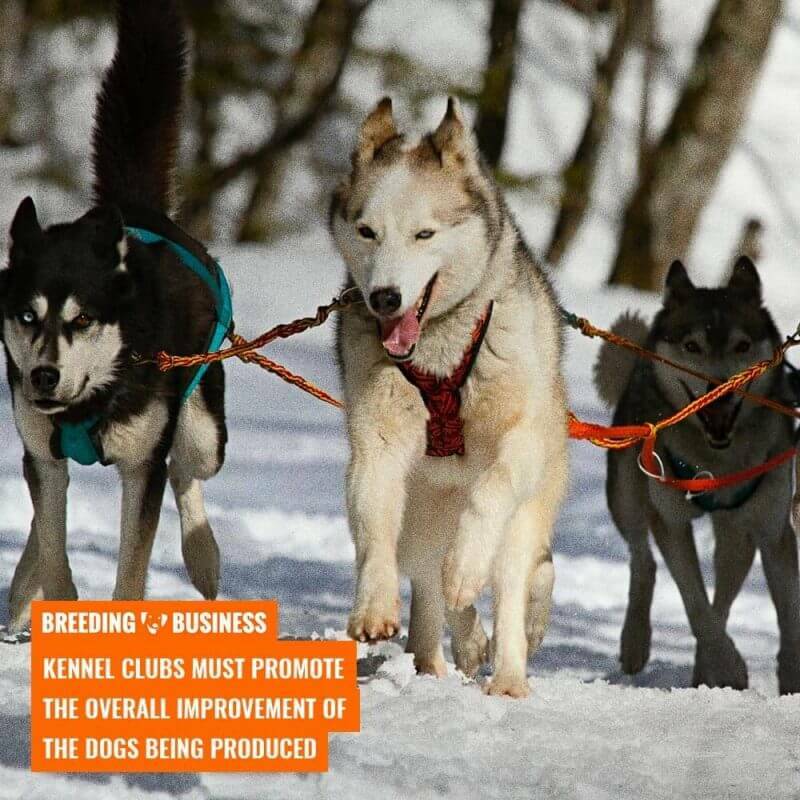 In order to weed out unethical dog breeders, kennel clubs need to accept less money and more proofs of skills. Additionally, kennel clubs are most known for being registries of dogs belonging to purebred dog breeds. A kennel club is made up of several divisions and departments ranging from health schemes to data crunching. Each kennel club has a unique breed standard defined for each dog breed they officially recognize. A breed standard details the expected and wanted appearance and temperament of dogs belonging to the breed. The entire basis of conformation shows sanctioned by kennel clubs is to judge pedigree dogs against their standard. Kennel clubs recognize and standardize new dog breeds after a thorough research phase. Indeed, clubs want to check that the historical background and the temperament of a breed are known and trusted. These breed standards are owned, managed and incrementally updated by each respective kennel club. Changes or updates to a breed standard require the approval of the kennel club’s board and breed council. Once recognized, the kennel club is responsible for overseeing each breed and allowing them to be transferred to a breed registry of their own breed club (e.g. German Shepherd Dog Club of America). As each new breed of dog is fully recognized and registered, their club sets their standard for their overall participation in proceeding events and activities. One of the major roles of any kennel club is the responsibility of registering purebred litters and keeping them inside their own database. The kennel clubs registry a simple system of records of the puppy births and the breed they belong to. A purebred dog is a dog that belongs to a specific dog breed thanks to being born from two purebred parents itself, or by being assessed against the breed standard and recognized as purebred. A purebred dog holds a documented pedigree within a stud book and is registered in a breed club which generally belongs to a national kennel club. Offspring, or litters, that are inherently produced by two purebred dogs are considered purebred litters and can be registered. Being issued from two purebred parents does not automatically register you with your national kennel club. You will be automatically accepted but you still need to fill required forms and pay a registration fee first. Lately, kennel clubs have been somewhat coerced to become more of a health screening authority. Some registrations may require the proof that a dog is cleared of known health conditions before being validated. Once registered, breeders will receive registration papers for each of their dogs. This will allow breeders to later purchase an official kennel club pedigree and will have access to a substantial number of informational sources and support. Dog conformation shows, also known as breed shows, are shows in which breeders show off their determined purebred dogs. Judges who are familiar with the breed evaluate each individual dog. Judgement is based on how well the dogs conform to the established breed type standard. Many dog shows, especially very popular ones, will also require health checks to make sure the dogs match the standard but also are healthy. Most dog shows propulse dams and sires into the breeding world after a victory. Therefore, being fit and in good health is a must in order to avoid spoiling the next generations. Many breeders register their dogs in a kennel club for the participation in conformation shows and other trials. Such events give promising results in terms of getting your dogs noticed on a national, and sometimes international, scale. 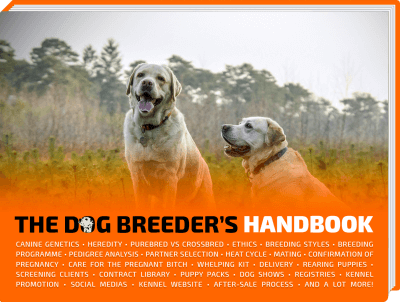 This also helps breeders evaluate their dogs for breeding purposes. Shows and events range from obedience competitions to trials based on the type of breed, look, or a specific characteristic. In obedience trials, dogs are judged by how well they behave and follow a predefined routine. In conformation shows, dogs are judged against their breed standard. In work trials, dogs are judged at how well they perform a given job. In agility, dogs are judged and timed while running an athletic course. Kennel clubs provide a lot of support to dog owners, dog breeders and dog trainers in the form of blog posts, lessons, and videos. Your national kennel club can offer you the right education and training you need to further your goals in the dog world. Funnily enough, we started Breeding Business because we thought the quality of the dog breeding education available was low. This support is not limited to only dog breeders, however. Education is provided for the average dog owner as well as dog trainers. All major kennel clubs provide an extensive list of online support to their users at any given time. Their aim is to help dog trainers, owners, and breeders grow in their field and help widen the level of their understanding. Members of a kennel club find various online courses, educational seminars, and schemes, or even designated programs pertaining to their specific profession. These educational resources are offered to help the dog community develop their skills and learn and refine what they already know while ensuring maximum results. The role of a kennel club is also to ensure and promote the general improvement of the dogs being produced. For this to take place, kennel clubs monitor dog breeders and their facilities. For instance, some schemes are in place to confirm that the living conditions of the dogs are fit for standard care. Other guidelines require that the dogs are healthy and are not being abused or neglected. 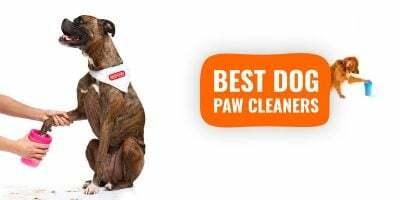 Cleanliness and hygiene are crucial factors in a dogs environment and these factors are also monitored by the kennel club. Kennel clubs do this in order to systematically protect the general welfare of all the puppies. In the UK, a Breed Watch program is designed to identify points of concern in all areas of the canine world and helps to monitor the overall health statuses of pedigree dogs. Kennel clubs believe that all participants in the dog community must work together to support breed health improvements. Accredited by UKAS, The Kennel Club certifies members of the Assured Breeder Scheme and is the only program in the UK that currently monitors the breeders for these purposes. National kennel clubs must put canine health first over vanity metrics such as yearly registrations, and revenue from registration fees. Aside from overseeing breeders, the kennel clubs also take part in various dog health schemes coupled with data analytics for good measure. These health schemes are aimed to provide sound analysis backed by trusted scientifically-based expert opinions in the canine field. There a number of different health schemes that kennel clubs may perform such as schemes for hip dysplasia, for example. These screening programs are designed to give dog breeders a way to identify the dogs that are free of such diseases. 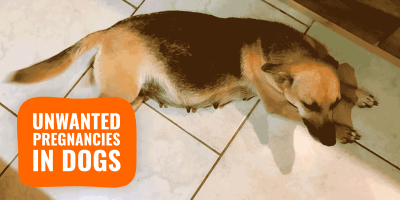 These healthy dogs are naturally the best choices for breeding. Regular examinations, as well as re-examinations in the case of possible recurrent diseases or those that have a later onset, are performed. Dogs will receive the all clear or be listed as affected. These results are kept within the kennel clubs database and later published on registration certificates. Kennel clubs hold various records for tens of millions of dogs, dead and alive. A lot of metadata can be derived from a dog’s registration and when aggregated, kennel clubs offer fascinating reports. Ranging from granular health trends to a simple ranking of the most popular dog breeds, big data crunching offers valuable insights. Analytics are published as full-on PDF annual reports or simply placed as illustrations in a blog post. Kennel clubs are known for their varied charitable functions and endeavors. For example, The Kennel Club, the leading kennel club located in the UK, has what is termed as The Kennel Club Charitable Trust. Visitors can go online and view their current monetary status on their website as well as download accompanying documents related to the charity. Kennel club charities often help other charities and other voluntary bodies. They work by making grants to certain organizations who seek sponsors to undertake necessary research. 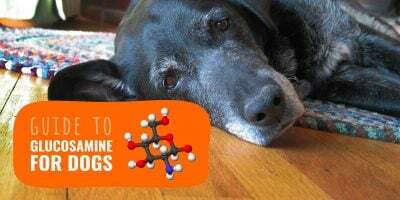 The goals behind these charitable endeavors are to promote the advancement of their education by enhancing the canine research in respects to diseases or other hereditary disorders. They also aim to promote the relief of animal suffering or giving dogs a voice in the community as practical, or therapeutic, aids for humans. A kennel club gives dog breeders recognition when their breeding program has produced a new type of dog breed. This will allow breeders to introduce their breed into the largest canine registry such as the Imported Breeds Register. Thus, providing these breeds all the benefits of a kennel club including conformation participation, registration, and performance events licensed and sponsored by the kennel club of choice. Basically, it gives your dog a voice in the community and an identity as an official pedigree dog. As opposed to a full breed dog that has all the look and temperament of a pedigree dog, dogs who belong to a kennel club have the formal recognition and paperwork to back it up. 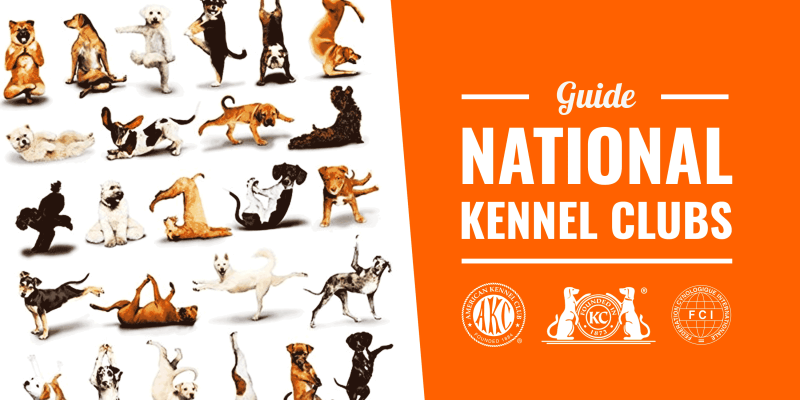 Each nation has its own national kennel club but three of them have a real worldwide impact: The Kennel Club (UK), the American Kennel Club (US), and the World Canine Organization (worldwide federation). These organizations can shift the focus from monetary motivations to required health checks at scale. By behind de facto default registries, kennel clubs generate a wealth of revenue every year. A lot of money goes into running the operations (staff and fancy offices). Yet, a non-negligible chunk goes back to local breed clubs and events they organize. The Kennel Club recognizes 211 dog breeds. As the official kennel club in the United Kingdom, The Kennel Club is actually the oldest recognized of its kind worldwide. The KC is the central governing body in the canine world in the UK. It orchestrates pedigree registrations, lobbies governmental institutions, and organizes dog shows and competitions throughout the year. The Kennel Club currently runs the greatest dog event in the World, referred to as Crufts since 1891. It also licenses more than 4,500 other dog events and shows annually. The Kennel Club is noted for its influence in the canine community. Especially by providing support in the form of acting as a lobby group on critical issues regarding animal welfare. The Kennel Club acts as the leading and largest organization dedicated to promoting and protecting the rights and health of dogs in the United Kingdom. 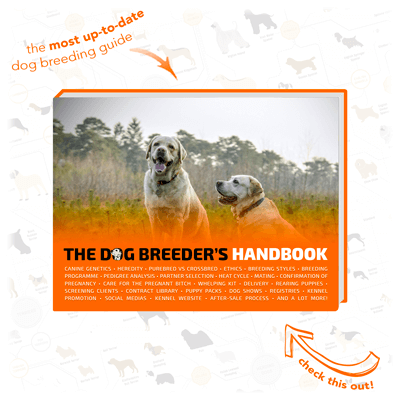 Aside from also providing a registry for crossbreed dogs alongside the pedigree dogs, The Kennel Club offers an unprecedented number of resources for dog breeders. Including education in which one can expand their knowledge on, or unique experiences and advice on dog purchasing, raising, canine health, and training. They also run the Good Citizen Dog Training Scheme, which is the UK’s largest dog training program; and the Petlog Database servicing microchipped animals. The American Kennel Club recognizes 202 dog breeds. Founded in 1884, the American Kennel Club is the registry of purebred dog pedigrees located in the United States. The AKC is a trusted expert in canine health, breed, and dog training information. The AKC is well known for sponsoring and sanctioning great purebred canine events. For instance, the Westminster Kennel Club Dog Show which is the annual event that actually came before the AKCs National Dog Show. Additionally, the American Kennel Club holds and promotes the well-known AKC National Championship by Royal Canin. Various conformation shows, companion events with trials, and a list of performance events are offered by this club. As of 2016, the AKC recognizes 202 breeds and divides their breeds into seven groups, one class, as well as the Foundation Stock Service. The AKC is an active participant in advocating and promoting responsible dog ownership and believes in the advancement of dog sports. Unlike other major kennel clubs, the AKC does not belong to the Federation Cynologique Internationale, or better known as the World Canine Organization. As the largest purebred registry in the US, the AKC is the only registry that is not for profit in addition to being the most famous and sought out registry. In order for dogs to be registered in this kennel club, both parents of the dog need to be registered in the club as the same breed as well as the litter in which the dog was born in. Otherwise, the dog can be accepted through means of standard determination by the AKC. The Federation Cynologique Internationale recognizes 344 dog breeds. The Federation Cynologique Internationale, also commonly known as the World Canine Organization, is currently the largest federation of kennel clubs on an international level. The FCI is based in Thuin, Belgium. The five sections of the FCI include Europe, The Americas and the Caribbean, Middle East, Africa, and Asia and the Pacific. This organization includes 94 members and contact partners, with one being from each country in which each issues their own pedigrees as well as train their own judges. Each member country holds their own conformation shows, trials (working, hunting, herding), and competitions (racing, agility and obedience) after which the results are then sent to the FCI for processing. The FCI currently recognizes 344 breeds with each breed being a property of a specific country, while the owners of these countries write the standards for the breeds in direct cooperation with the Standards and Scientific Commissions of the Federation Cynologique Internationale. The common goal of the FCI is to encourage the successful and healthy breeding of purebred dogs in which the physical attributes and functional health of the dogs meet the standards that are selectively set per breed. Their aim and focus are that dogs should be fully capable of working and accomplishing tasks in direct accordance with their breed characteristics. The FCI aims to protect the keeping, use, and breeding of dogs in each of the countries that belong to this canine federation. It also supports the free dog exchange feature and enables cynological information between the member parties of each country. They also work in tandem in organizing varied tests and exhibitions in the international pet community. The United Kennel Club is a dog registry focused on the concept of total dog. The total dog is a dog that looks, behaves, and works equally well. The UKC came to the forefront of the breeding scene by focusing priamrily on hunting dog breeds. Now, it has become more generalist and appeals to a wide range of dog owners and dog breeders. They organize hundreds of events, from dog shows to competitions. 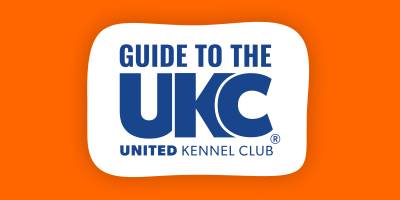 The UKC accepts non–pedigree dogs with a limited registration. Despite the many benefits of having your dog belonging to a respected and well-known kennel club, they are certainly far from perfect. All kennel clubs have their downside. Aside from sharing the common goal of maintaining and promoting canine education and health, kennel clubs are also in it for the money. The many campaigns and schemes they offer and promote in the guise of canine welfare resources sound good on paper. Yet, they are namely produced in order to get customers to believe that their certificates are considered a statement of proof of quality puppies from a breeder. 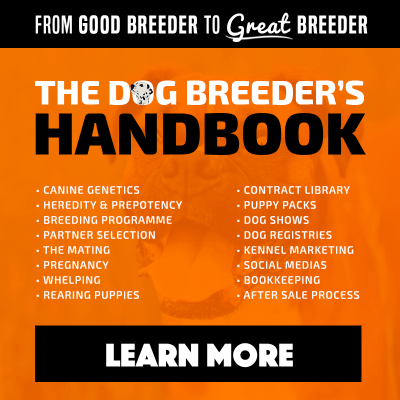 Consequently, breeders really have no choice in the matter but to choose these registries and clubs to appear legit in the eyes of their prospects. Most schemes from kennel clubs are needed admission tickets to look good to the outside world. Unfortunately, this leads a lot of legroom for the bad breeders to gain access within the community without even having anything personal to show for. You can bet that most unworthy dog breeders today are fully-registered and sanctioned by their national kennel club. With that said, in reality, one can only imagine a lot of professionals in the dog community see kennel clubs as a registry of purebred dogs, and that’s it. They don’t exactly view these national kennel clubs as a means of proof of quality breeding. Not even a solid indication that these kennels conduct comprehensive health testing. Breeders also should join a kennel club because it is literally the bare minimum expectation for purebred dog breeding. In short, if you want to call your dog a Purebred and have him considered as such, then yes, you must join your national kennel club. Most eligible purebred dogs have the requirement of providing the necessary paperwork, documents, and certification that only a national kennel club can provide. Therefore, you will need the kennel club registration in order to have that processed. Other than that, though, you wouldn’t necessarily have to. Just keep in mind that most customers and clients want to see that documentation and often require the certification before purchasing. To them, the kennel club registration certificate acts as a reassuring piece of paper. In general, breeders should always join a kennel club and allow their prospective animals become a participant and active members. Yet, in order to be a responsible and highly reputable dog breeder, you will have to do a lot more than that. Ensure you perform additional health screenings on your dogs, participate and gain conformation awards, trials for working lines, etc.